The action and adventure continue in this stunning fantasy from a rising literary star. 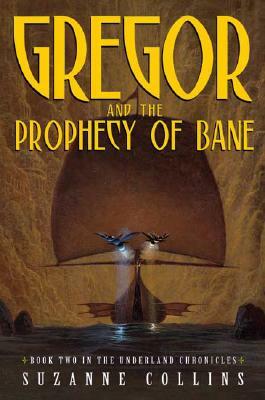 Gregor is summoned back to the Underland by the terms of a second prophecy. Spies have reported the sighting of a Rat King, a character who has been legendary since the Middle Ages. Recognizable by its tremendous size and snow-white coat, the Rat King is destined to bring a World War to the Underland. Gregor eventually comes face to face with the Rat King, and to his surprise, he finds he is unable to kill this creature. His heart tells him he's making the right decision. Will it be a decision he lives to regret?